Please note that the 3rd Annual Passive Projects Competition is open for submittal until September 5th, so if you would like to showcase your fully certified passive building projects, this is an excellent opportunity. Additionally, make sure you mark your calendars for October 4-8 for NAPHN17 ‘Passive + Renewables’ in Oakland, CA. The goal of this conference is to promote and accelerate the adoption of passive house building strategies in North America, and to work with others who share a vision for a post carbon all-renewable energy future. If you happen to be east of the Cascades, be sure to join us on October 27th for the PHnw Annual Fall Conference! This conference is a great opportunity to connect with industry leaders and learn more about the passive house standard. Today we see greater involvement in, and awareness of, the passive house standard than ever before. Come celebrate the growth of this movement with other industry leaders. Make this the year you attend a conference to connect, learn, and affirm your dedication to a sustainable future! 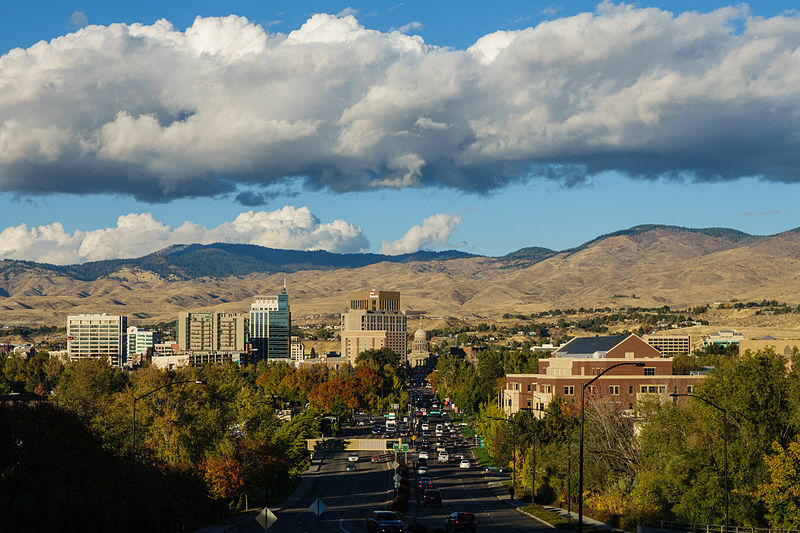 We’re bringing together regional governments, utilities providers, developers, and the design and construction community to discuss high-performance, low-energy passive house buildings - big and small - within the inland region. This exciting one-day conference will focus on strengthening regional expertise and awareness of passive buildings. You can learn more on our conference webpage. We invite you to submit your project to the 3rd Annual Passive Projects Competition. Back by popular demand, this juried competition recognizes fully certified passive building projects of all types and climate zones. This is your chance to showcase your work and celebrate the great strides being made in the field of passive building. Core Conference schedule just released – check it out. Register today for Pre-Conference Workshops and Trainings and the 2-day Core Conference! Be sure to check out the Evening Events! PHIUS is extending the PHAUS Professional Level Member discount for Core Conference to PHNW Members, register today! This two-day intensive workshop includes a software license and training in “PH Meister,” a revolutionary approach to design with the Passive House Planning Package (PHPP.) Developed over nine years in an active Passive House consulting and design firm, the system facilitates an Integrated Design Process (IDP) with streamlined and simplified input parameters, provides unmatched optimization with real-time sensitivity analysis, increases accuracy while automating tedious data entry, systematizes workflow for small and large teams, manages complexity, provides clear and thorough documentation of the design progression and handles IP unit conversions to/from the metric version of the PHPP*. * The workshop will be conducted in IP units, but an SI version of the software will also be provided. A video of the system under development (from 2013) is available here. PHAUS will be hosting an event Sept. 13th @ the Zola Windows showroom located at 2108 Western Ave. downtown Seattle. Zola windows and SIGA will be demonstrating window installations with their latest high-performance products. 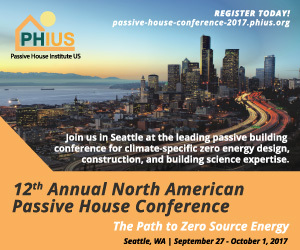 PHAUS will be raffling off a pair of tickets to the 12th Annual North American Passive House Conference taking place on Sept 27 - Oct 1 in Seattle. 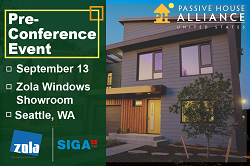 Don't miss this great opportunity to learn about passive building window installations and to win a pair of conference tickets!